When we wrote our first budget, I was shocked at how much we were actually spending!!! We needed to cut things out A.S.A.P if we were going to stop using credit. Here are 7 things we DITCHED to save money that jumpstarted our debt-free journey! I use affiliate links, click ’em and you can buy great stuff and I get paid a little with no extra cost to you! Read my full disclosure here. Watching TV is the opposite of accomplishing your goals. We ditched the paid TV programming and started spending more time reading, learning, and planning how to reach our goals. Youtube provides us with enough entertainment when needed, and what we watch now is almost always educational! Similar to number one, movies often are just for pleasure and not a necessity. Ticket prices plus the overpriced snacks mean a costly night out! And if you have kids, you have to pay the babysitter too! EEEK! We opted to NOT see shows in theaters while paying off debt and building our emergency fund, even though it was our favorite type of date night. We have since found other fun, inexpensive date nights that are budget friendly! I get it, you need to keep your phone for a myriad of reasons (does anyone even have a landline anymore?!?! ), but maybe you DON’T need 5gb of data every month. And maybe you don’t need unlimited daytime phone calls because you don’t phone anyone anyways, especially if you are at work. Ditch your expensive cell phone plans for basic talk & text plans and take advantage of the free wifi around town. When we first tallied up our pre-budget expenses, I was shocked and ashamed at how much money we were spending on drive-thrus, take-out, and restaurant dining. I honestly thought we didn’t eat out that much. So we gave ourselves $100 in cash for eating out for the month. That had to cover coffee dates with friends, family sit down meals, date nights, and drive-thrus. It was really hard at first, and we went over budget a few times. But we learned to be content with food at home, preplanned our meals/outings, and saved that cash for the special meals out, not last minute “oh I didn’t bother packing lunch for us today”. When you have a limit, you learn to save it for the good stuff… like dinner dates and family frozen yogurt runs! Oh and we had to ask our families and friends to NOT go out for meals together as much, instead, we offered to host homemade meals and that saved everyone money! Most can’t cut out gas for their vehicles completely. But you can probably cut down how much you consume each month. Carpool to work or events. Walk to the park. Take public transit. Don’t go out of town trips for fun or shopping. Don’t drive around town, wasting time while the kids are sleeping, sipping your Starbucks Vanilla Latte, listening to your fave Spotify playlist, enjoying some peace & quiet….. That last one was hard for me to give up, can you tell? But really, with some planning of your errands and driving needs, you CAN cut down on fuel costs, your wallet will thank you! We still need to shop, there are always things to buy. But how much are you spending while browsing the store, wasting time online, or hanging out with friends? Cutting those extra purchase to save money makes a HUGE difference. Plan out the purchases you need to make. Compare prices and be willing to shop around for the best deal. Shopping makes us feel good, but in the end, you and your budget LOSE! This applies to bargain shopping too, I’ve left many a thrift stores, spending money on things I don’t need just because they were great deals. This one might ruffle feathers BUT when you are drowning in debt, have no savings, and no sight of financial stability, you NEED to draw some lines and make sacrifices. As a couple, my husband and I chose to not buy each other anniversary, Valentine’s Day or Mother’s/Father’s Day gifts. Plus we kept Christmas and birthdays to a minimum. We were on a plan together and it brought us more joy to be reaching our financial goals than to be getting more things at the moment. We kept gifts for our children and families small too, buying used and on sale when possible. Who needs more STUFF anyways?? These 7 things to cut from your budget will truly help you save money and make your budget WORK. And they don’t have to be forever sacrificed (although people who win with money don’t waste it, they spend it with intention!). For our family, we are completing Dave Ramsey’s baby steps: paying off debt, saving a healthy emergency fund, and investing. We have used our financial goals to motivate us through these cutbacks and we are glad for it. What have YOU ditched to save money? My mission is to serve YOU! Get encouragement in family life, healthy eating, financial freedom, and so much more! Plus you'll get our crazy school-home-reno-family-farm updates! Maker of food. Manager of the budget. Wife. Mother. Bible believer. Learning to live the simple, homesteading life. Welcome to Our Homestead, I’m Jaclyn! 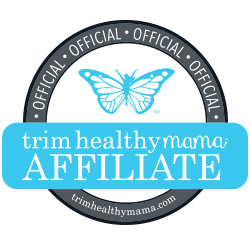 Canadians, Shop at Healthy Family Foods for all you THM products plus so much more! As an Amazon Associate, I earn from qualifying purchases on Amazon.com.